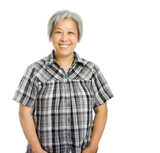 As a fabulously fifty woman of color, it is important for you to understand that you live in a society that may not always embrace the beautiful hues of skin tones, hair textures, body shapes, or cultures of women of color. Sometimes people use negative stereotypes and negative perceptions of women of color and try to force you to identify with them or make you believe that you are inferior and that they are superior. If you begin to believe the negative stereotypes, they can affect your self-esteem, self-love, self-identity, self-pride and self-respect, resulting in you becoming trapped in a psychic prison. As a result, you will begin to display negative attitudes, negative behaviors, and negative thought processes that can lead to you making choices that may defer your dreams, diminish your hopes, and destroy your ability to live life fabulous. Psychic prisons thrive on negativity. Apply the Principles of Living Life Fabulous philosophy to your life everyday all day. Remember that you are not inferior, less worthy, or insignificant because of the color of your skin. Show the world that you will not be a victim or trapped in a psychic prison because you are just too awesome to allow yourself to be trapped by the ignorance of others. 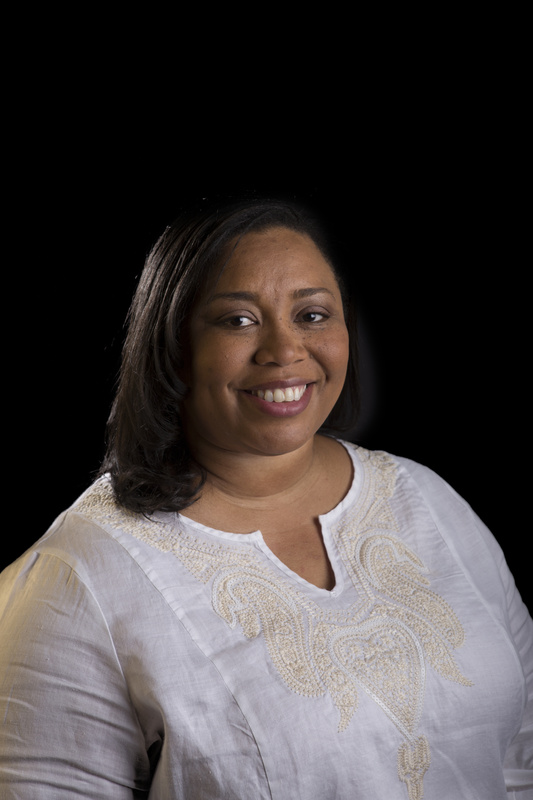 Join Dr. Culbreth for an introduction to the Principles for Living Life Fabulous at Fifty and a preview of the new book: Living Life Fabulous at Fifty: Affirmations for Women of Color. 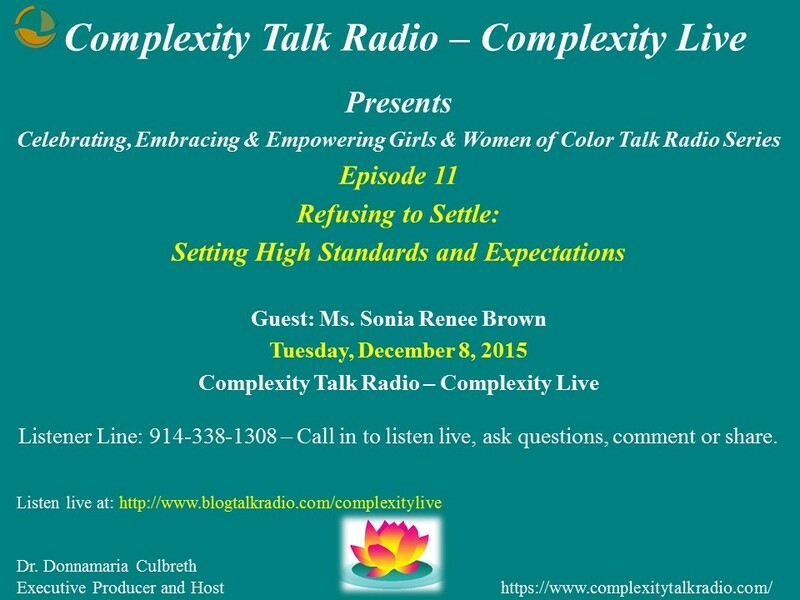 Thursday, January 8, 2015 at 8pm EST on The Dynamics of Colorism Talk Radio. Listener Line: Listen live or call in to ask questions or comment by dialing 914-338-1308. The five principles to live life fabulous were created by Dr. Culbreth to help fabulously fifty women of color embrace the fabulous fifties. 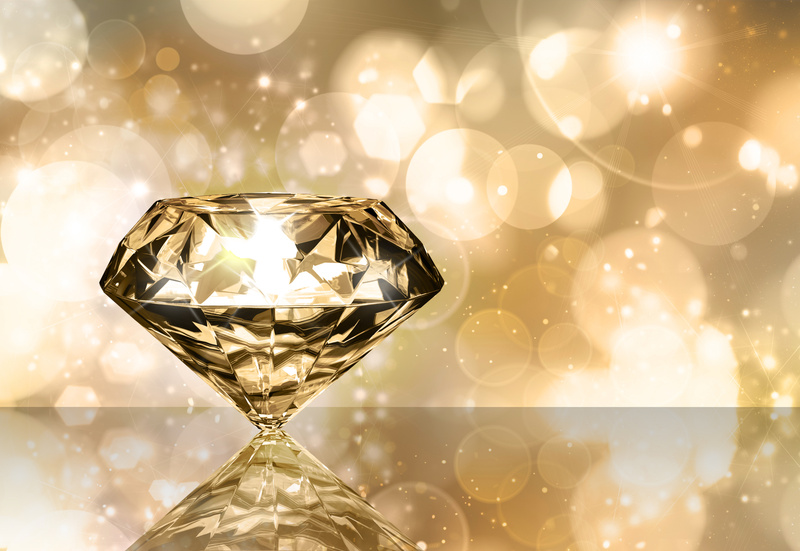 The Principles are the foundation building blocks of the beginning of your journey into the fabulous fifties! The first principle of living life fabulous is self-love. The fabulously fifties is a great time in your life to fall in love with yourself all over again. Falling in love with yourself is so easy and refreshing and in doing so, you may discover a fabulous woman of color who knows exactly what she needs in her life, and creatively sets out to pursue those needs. Remember, it is all about you loving yourself madly. Loving yourself first and foremost is the first principle of living life as a fabulously fifty woman of color. When you love yourself, embracing the changes that are taking place within and around you psychologically, emotionally, physically and socially will be exhilarating. 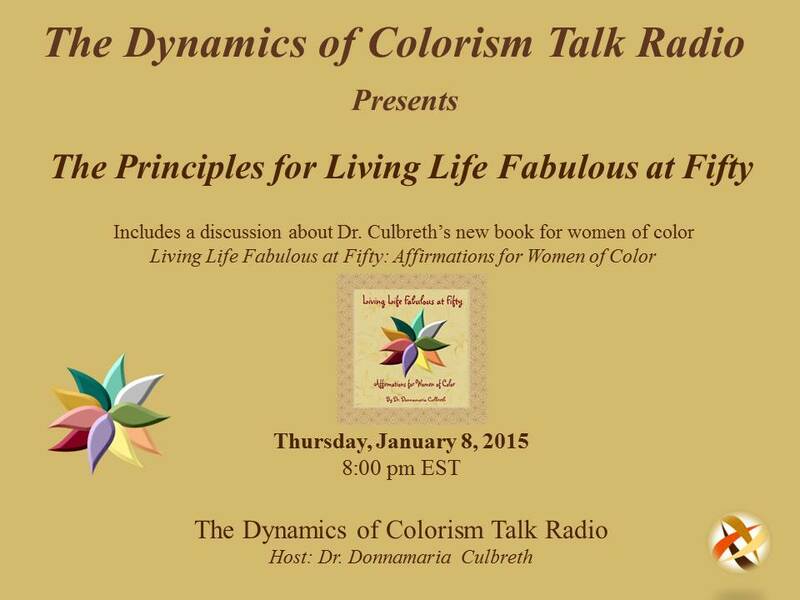 Tune in to The Dynamics of Colorism Talk Radio on Thursday, October 23, 2014 and listen to Dr. Culbreth explain the first principle of Living Life Fabulous, Fabulously Fifty Self-Love. The Fabulously Fifty Series will air on the fourth Thursday of each month on The Dynamics of Colorism Talk Radio. Coming in November, a book for women of color titled “Live Life Fabulous: Affirmations for Women of Color.” A book for every woman of color in their fabulous fifties to own. 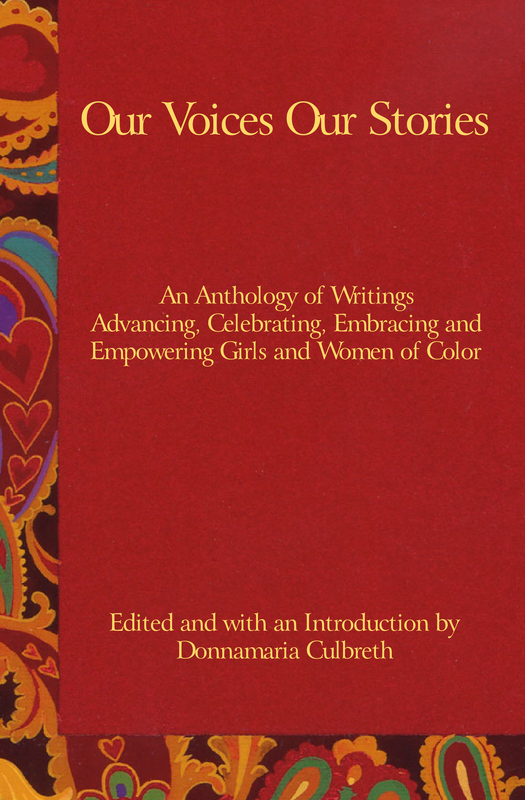 Full of positive messages to help women of color find balance psychologically, emotionally, personally, and socially, allowing them to live life fabulous. Watch for details and sneak previews.